(Reuters) - "There is nothing there." Monsanto Co (MON.N) President Brett Begemann uttered those words last week to a small group of investors and a Reuters reporter when asked how the world's largest seed company he helps lead might fit with German drugs and crop chemicals group Bayer AG (BAYGn.DE). Those four words, said on the sidelines of a New York conference, set off a series of events leading to the disclosure of Bayer's confidential, $62 billion bid for Monsanto, the largest all-cash corporate takeover offer on record. Bayer had sent a confidential acquisition proposal to Monsanto on May 10. Media reports surfaced two days later that Bayer was considering a bid. Initially, neither company would comment on whether any talks were taking place - a common practice for many corporations that prefer to negotiate deals in private and only tell Wall Street if they manage to come to terms. But Begemann appeared to go a step further than simply declining to comment at the May 18 conference. Monsanto's securities lawyer was concerned that his reply could be interpreted as a denial that any talks were going on, according to a person with knowledge of the situation. The U.S. Securities and Exchange Commission has strict disclosure rules to protect investors from being misled by companies. To avoid triggering SEC scrutiny, according to the source, Monsanto issued a statement a few hours after Begemann's comment to acknowledge that Bayer had approached the company about a possible takeover. Bayer soon followed with its own statement. The negotiations have since been subject to intense investor scrutiny that has weighed on Bayer's deliberations over how much it can pay, according to sources with knowledge of the talks. The SEC declined to comment on whether it is looking into Begemann's remark. Monsanto and Bayer also declined to comment, and Monsanto did not make Begemann available for comment. His remark was characterized by sources close to Monsanto as an "honest mistake." Begemann came "close to a violation but probably not enough" for the SEC to bring a case, because his answer was open to interpretation, said Peter Henning, a law professor at Wayne State University in Michigan. Begemann's statement could be interpreted to mean that Monsanto and Bayer had not come to a definitive agreement, Henning added. Bayer shares, which fell modestly after the initial media reports, dropped as much as 10 percent the day after the company confirmed the takeover approach, as investors fretted over the impact of such an acquisition on its strategy and balance sheet. Some of Bayer shareholders spoke out against doing a deal. To address those investor concerns, Bayer on Monday unveiled the terms: it had offered $62 billion in cash for Monsanto, and it would finance 25 percent of the bid primarily through a rights offering that would dilute existing shareholders. Before Monsanto publicly responded, Bayer embarked on a highly unusual investor charm offensive, launching a website and holding presentations. Chief Executive Werner Baumann also gave several media interviews. "Because of the Monsanto President’s remark, Bayer’s CEO now has to fight a battle on two fronts, negotiating a deal with Monsanto while also trying to keep his shareholders onboard," said Erik Gordon, a professor at the University of Michigan's Ross School of Business. "It can be an easier pitch to investors when they know they can no longer influence negotiations, and a deal is presented as fait accompli," he said. On Tuesday, Monsanto rejected Bayer's offer but agreed to hold further talks with Bayer to see if they can agree on better terms. The two companies will now try to carry out negotiations privately, without making further statements until there is an outcome, according to the sources. Though the negotiations continued after Begemann's comments, some sources close to Bayer said the company felt more restricted on how much more money it can offer Monsanto, given the investor feedback it received. By Friday, Bayer shares ended down 11 percent from where they were before Monsanto disclosed the approach. To be sure, overcoming such challenges is possible. "Sophisticated investors understand that deal premiums need to be evaluated" against the stock price before news of negotiations break, said Steven Scheinfeld, global chair of the corporate department of law firm Fried, Frank, Harris, Shriver & Jacobson LLP in New York. Even transactions that have become public often get to the finish line, he added. The fact that Monsanto's shares were trading at around $110 - significantly below Bayer's $122 offer price due to uncertainty about the deal - is in Bayer's favor. Monsanto shares were at $97 before Bayer disclosed its offer. Some Bayer shareholders have been positive about the deal. 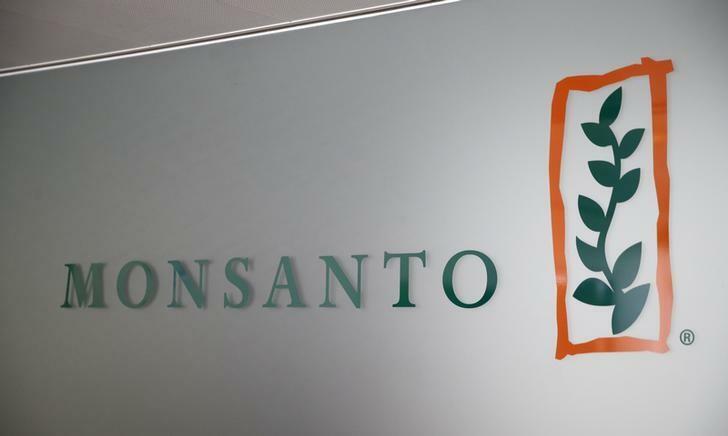 For example, Royal London Asset Management said that the German company's bid for Monsanto made sense strategically, and that, as a shareholder, it would support a deal if it was priced at around $130-$135 per share.